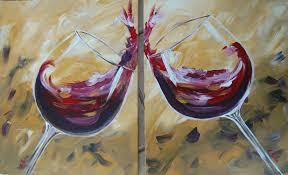 Wine has always had a place in art and has even inspired many painters, sculptors, musicians and writers. This drink even had its own god, Bacchus, whom you certainly know. Moreover, the wine has survived the ages and has always accompanied strong moments, which has resulted in him being immortalized in many historical and religious paintings, such as the “Wedding of Cana” of Veronese or “The Last Supper” by Leonardo da Vinci. Wine and art have one thing in common: the “collection” side. Some bottles are already worth hundreds of euros out of the cellar and keep precious, as we keep a masterpiece of Monet or Van Gogh. Over time, they become more valuable because of their rarity. The famous estate, which was the first classified growth on the lands of the Médoc, has understood this close relationship and has used it since the release of its first bottles. The castle has put forward different artists of the time on each of its vintages. The organization of the label is a very elaborate brand strategy that has remained the same: the representation of the contemporary work, in relation to the imaginary wine takes the upper third. The entire remaining label contrasts with a classic elegance bias. The central Coat of Arms and the writing in English letters, proper to the codes of the aristocracy, are organized in such a way that one thinks of an “invitation”. Finally, Philippe de Rothschild’s signature in red, “manuscript”, intervening in an untimely manner, inscribes everything in a dynamic: he signs his wine as the artist signs his work. It should be noted that this approach still shows its commercial success today while the field is exported wonderfully abroad, emblem of the French spirit between creation and tradition. It may be difficult to understand the relationship between art and wine. And yet, she is very present. If it is easy to imagine that the making of a wine is an artistic performance, as can be the kitchen too, we do not doubt that the two areas can intermingle. The wine has always been revered. As we explained in a previous blog post, Bacchus was by far the most idolized personality in the ancient world. And his artistic representations did not fail, and this, many centuries later. The Renaissance has largely inspired, to become the symbol of fertility … artistic. Various artists among the most famous of this time represented the Roman god in all forms: Bellini, Titian, Michelangelo, Raphael, Caravaggio or Rubens have made major works on this character. Music is also an art that finds its place in the world of wine. We immediately think of the songs that make wine famous, often called bawdy songs. But more refinement exists and artists evoke wine in their compositions. Mozart, for example, particularly enjoyed wines from Tokay and Moselle as well as Champagne and wines made from an Italian varietal. The composer has transcribed this love in his work, especially in Don Giovanni.